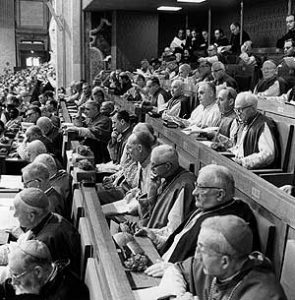 A session of the Second Vatican Council. The Institute for Jewish-Catholic Relations of Saint Joseph's University came into being as a result of a major transformation that occurred in the Roman Catholic Church during the Second Vatican Council (1962-1965). Prior to that historic conclave, a gathering in Saint Peter's Basilica of all the Catholic bishops from around the world, centuries of Christian teaching had claimed either that Jews were no longer God's covenanted people or that their distinctive way of covenanting with God had become obsolete with the coming of Christ. However, the Nazi genocide of six million Jews during the Second World War demanded that Christians begin a self-examination of the tragic history of their relations with the Jewish people. Despite the Christian preaching of love for all, even for one's enemies,the prevailing mentality down the centuries penalized minorities and those who were in any way "different." Sentiments of anti-Judaism in some Christian quarters, and the gap which existed between the Church and the Jewish people, led to a generalized discrimination, which ended at times in expulsions or attempts at forced conversions. ... In times of crisis such as famine, war, pestilence or social tensions, the Jewish minority was sometimes taken as a scapegoat and became the victim of violence, looting, even massacres. 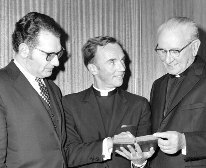 Rabbi Marc Tanenbaum (American Jewish Committee), SJU President Terrence Toland, SJ, and Cardinal John Krol at the Institute's March 1971 program. Such an assessment became possible after the Second Vatican Council in 1965 had issued a document that began to reverse centuries of negative teaching about Jews and Judaism. Nostra Aetate ["In Our Time"], a declaration on the relationship of the church to Non-Christian religions, called, among other things, for Catholics and Jews to collaborate in "biblical and theology enquiry ... and friendly discussions." Just two years later in 1967, the Jewish-Catholic Institute was founded at Saint Joseph's College in cooperation with the Philadelphia office of the American Jewish Committee. It is thus the oldest university center or institute dedicated to Catholic-Jewish relations that was established in the United States in response to the Second Vatican Council. In collaboration with the Archdiocese of Philadelphia, the Institute was a venue where the first steps toward building a new relationship between Jews and Catholics were taken. For over four decades, guided by the Rev. Donald Clifford, S.J. and with the aid of Charles Kahn, Jr., who initially represented the AJC, the Institute pursued the mission of increasing knowledge and deepening understanding between the Jewish and Catholic communities. The Institute's Clifford-Kahn Board Room in Bellarmine Hall is named in their honor. The Institute hosted conferences, exhibits, dramatic performances and trips to address religious and ethical issues that affect relations between the two communities. For many years the Institute has also sponsored two major programs annually aimed at raising awareness and encouraging dialogue among different religious groups in the Delaware Valley region. After Fr. 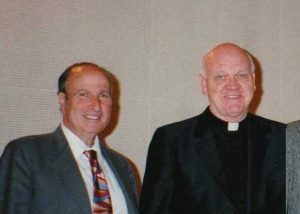 Clifford's retirement in 2008, Saint Joseph's University dramatically enhanced the work of the Institute by redefining its directorship as a senior faculty appointment in the Department of Theology and Religious Studies and by appointing Philip A. Cunningham, Ph.D. as the first professor to serve in this expanded role. 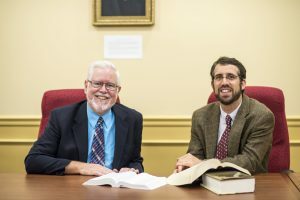 In 2013, Adam Gregerman, Ph.D. was appointed as assistant professor of Jewish Studies and as the Institute's assistant director. 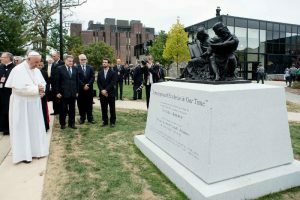 The Institute for Jewish-Catholic Relations of Saint Joseph's University is thus among very few institutions with both Jewish and Catholic experts serving full-time to promote understanding between the two faith communities. Today, the Institute's professors offer courses on Christian-Jewish relations in SJU's Department of Theology and Religious Studies. They partner nationally and globally to research Jewish and Christian reconciliation and reform, and the Institute has hosted annual conferences of the Council of Centers on Jewish-Christian Relations (2010, 2016) and of the International Council of Christians and Jews (2016). In all its activities, the Institute promotes opportunities for Christians and Jews to be study partners, teaching and learning about themselves and each other by studying and experiencing together texts, rituals, events, and places. "[These initiatives] testify to our mutual desire to know one another better, to listen to each other and to build bonds of true fraternity. This journey of friendship represents one of the fruits of the Second Vatican Council, and particularly of the Declaration Nostra Aetate, which proved so influential and whose fiftieth anniversary we ... celebrate. I am convinced that the progress which has been made in recent decades in the relationship between Jews and Catholics has been a genuine gift of God, one of those great works for which we are called to bless his holy name."